You know those days you just need an easy dinner to bung in the oven whilst you get on with your life? 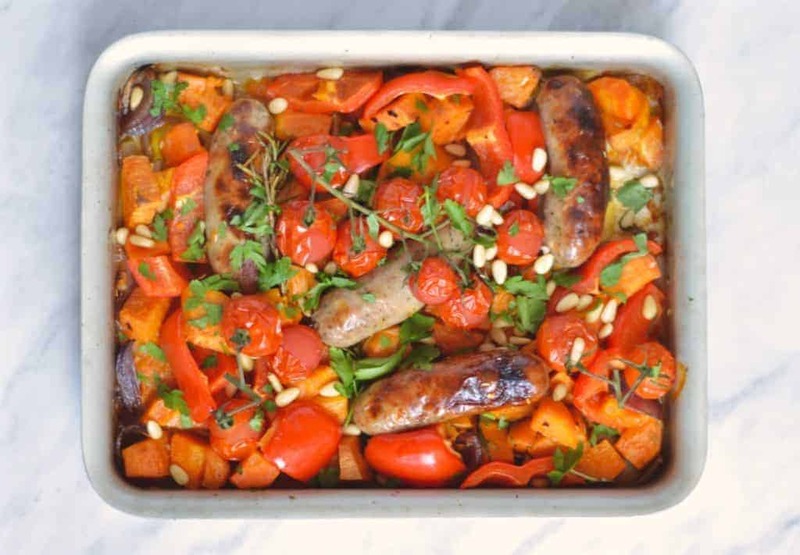 This sausage tray bake is one of those dinners. It’s ready in 30 minutes. It’s easy. 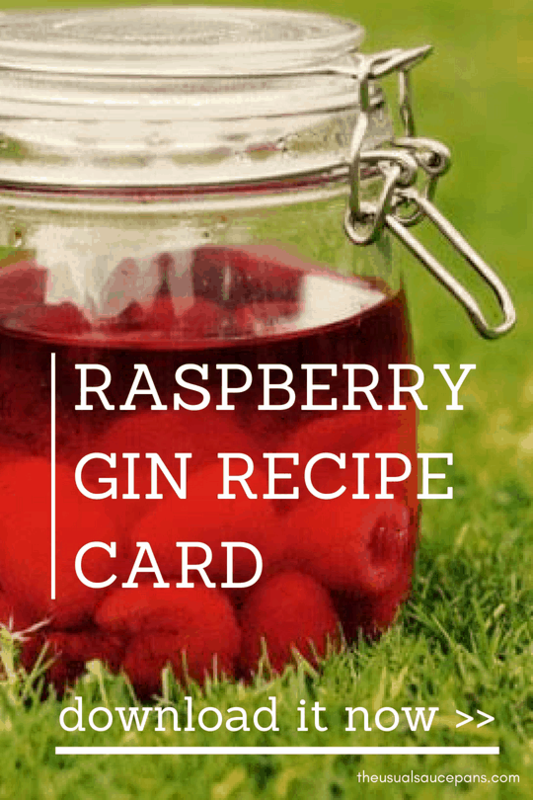 It’s got lots of vegetables in it. That’s really what this dish about – combining the need for sausage in your life (easy now) with lots of veg and serving it up with a whole lot of love. What is it about sausages that makes it a reasurig food? Is it some childhood throwback? Is it because they’re simple yet also wholesome? Are they ‘reassuringly British?’ (I don’t really know what that last one means, but it also seems weirdly right). They’ve got a bad rep, Sausages, and whilst often it’s for good reason, but also they are wonderfully versatile and mercifully quick. It’s reassuring to know they will bake whilst you get on with your life, shower off the day or deal with that life admin that’s been piling up. 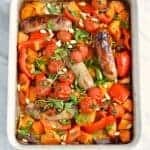 This sausage tray bake is also just full of colour – not necessarily what sausages normally are – because it’s loaded up with vegetables. There are tomatoes, peppers, onions and more. There’s texture from pine nuts and colour from herbs. Because let’s balance the fattiness of the sausages with vegetables and goodness. Who amongst us can really say they really eat enough veg? We’re all really busy people, and right now the ability to pop a tray of something that’s colourful and nutritious (and not just beige, because so much ‘bake it in the oven’ food is beige, no matter how much we call it ‘golden breadcrumbed’) is what I – and many of you – need. If you want more one-tray recipes then I’d recommend The Roasting Tin (you can read my review of it or get a copy from Amazon). 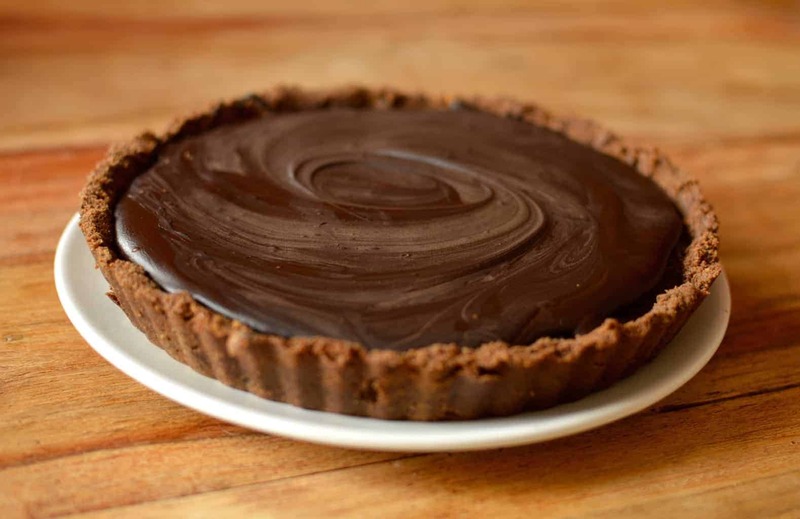 It’s full of good food baked loving in the oven. 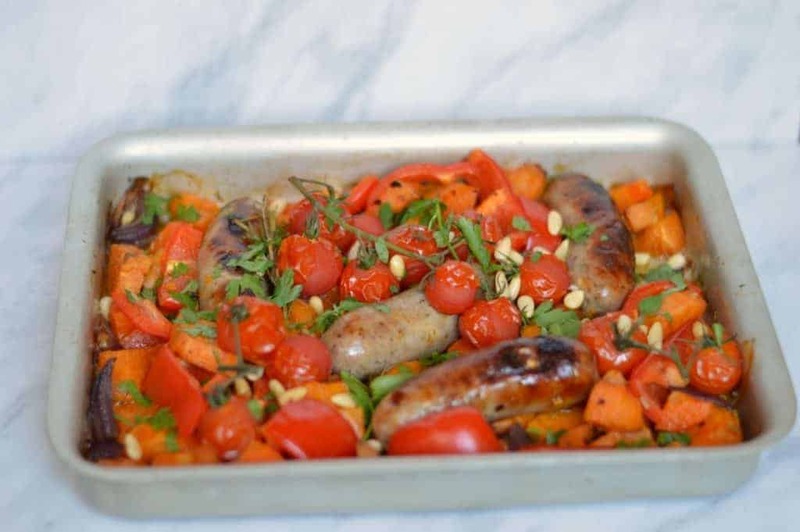 It’s also where sausages and roasted vine tomatoes caught my eye and inspired this sausage tray bake, although in traditional style I did not read the rest of the ingredients before going shopping. 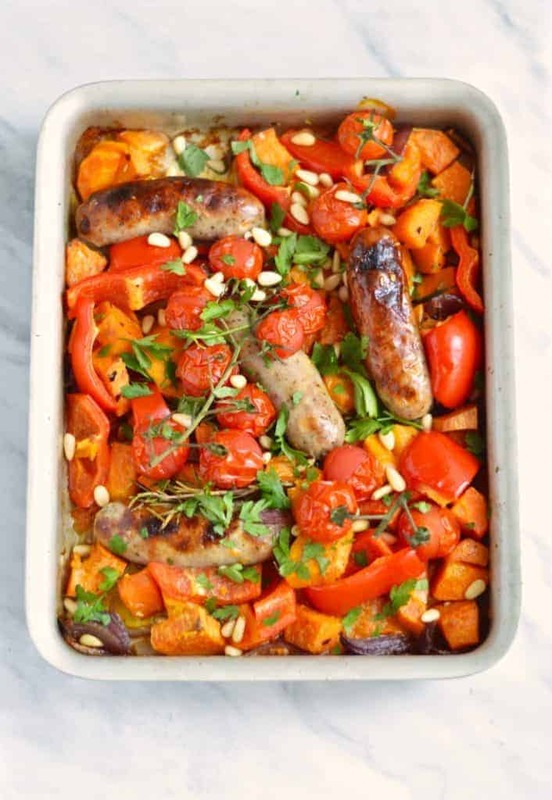 Next time you’re looking for something you can do easily, inexpensively and deliciously, grab your roasting tin, some sausages and all of the veg; it’s the kind of day that calls for a sausage tray bake. This sausage tray bake definitely comes under the brand of comfort food. It’s Simple to make and a hug of a dinner. There’s also the added benefits of being pretty cheap to make and really easy, great for feeding a large group or if you are batch cooking. Serves a hungry 2 with leftovers or 3 if not. Heat your oven to 180°C. Put your sausages into a large roasting tin with about half the olive oil, pop the tray in the oven and let the sausages brown for a few minutes whilst you chop the veg. Roughly slice your red onion, crush the garlic and cut the sweet potato into small chunks (roughly 1cm cubed); add it into the tray in the oven with the remaining oil. Cook for 5 minutes. Whilst it’s cooking, chunk up your pepper and cut the parsley. Add the pepper to the to the tray along with half the parsley and some salt and pepper. Mix through, place the tomatoes on top and return to the oven for 10 minutes. Scatter the pine nuts over the top and roast for a further five minutes. Garnish with the remaining parsley and serve.